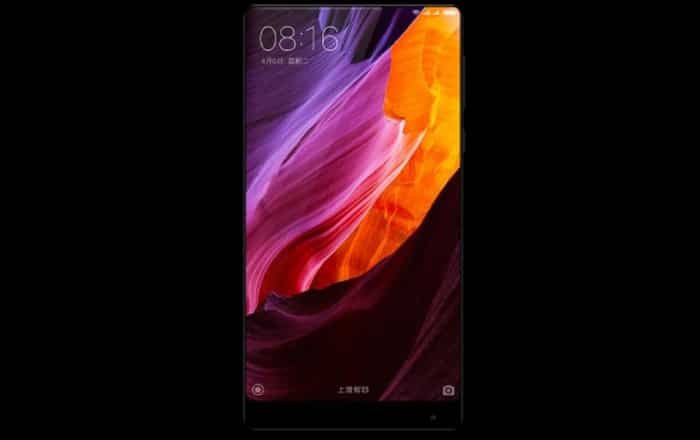 The Mi Mix 2 has shown up once again doing the rounds of the rumor mills, a few days after a report alleged that the handset would feature a fingerprint reader underneath the display. A Chinese publication now has some fresh information which runs counter to this claim. As per MyDrivers, Xiaomi is going to switch to a curved AMOLED panel for the Mi Mix 2. The company may also increase the phone’s screen-to-body ratio to 93%. To recall, the original model featured an LCD display and 91.3% ratio. If it does indeed sport a larger screen, the Mi Mix 2 will likely have even thinner bezels than its predecessor. The source behind the news also mentioned that the former is retaining the latter’s ceramic body and bone conduction audio technology. As for the fingerprint scanner, it’s apparently being placed on the front rather than the back. The reader is supposedly going to be positioned just below the active display. This goes against an earlier report which stated that the sensor would be found underneath the screen thanks to some innovative new technology. Xiaomi has so far said very little about the sequel to the Mi Mix. All it has confirmed is that the smartphone will be designed by Philippe Starck. The phone is still in development, so any details about it are subject to change closer to the device’s launch. Rumor has it that the Mi Mix 2 will be coming out in the second half of the year. It may well be launched in October like its previous variant.